You can't stop the waves of tastes but you can learn to surf them. 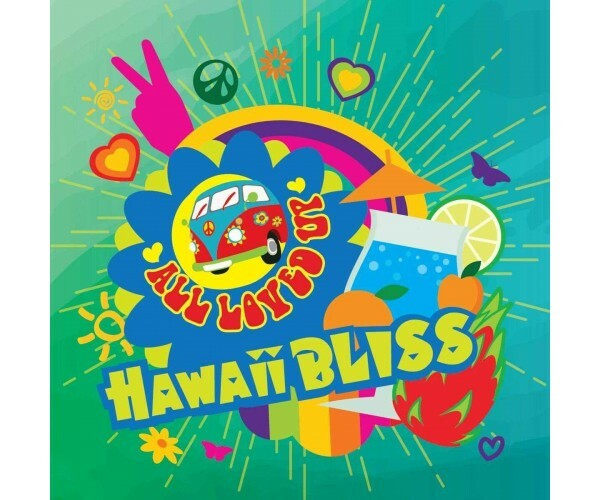 Vape your way to the paradise of the Pacific with a Hawaii bliss. ProductgegevensForget about spending a lot of money for a vacation far away from home. Now you can have your vacation and tropical feelings in your house, anytime you want. A fresh tangerine with natural peach ’n’ pears will make you t feel like you’re on an island already. Meanwhile, a kiwi with an apple will strengthen you and reinforce your mind to a brand-new thinking.